One of the main worries when getting a new bread machine is the cost of the ingredients of bread and whether you need anything special. In this post I’m talking about the best flour for bread making machines and whether you need anything specific. In short, the answer to this one is no. I have never used a special flour that was made specifically for bread makers and have never suffered from not doing so! However, and this is probably where the confusion comes in, I do use specific bread flour (strong) for making bread rather than just plain flour (all purpose). 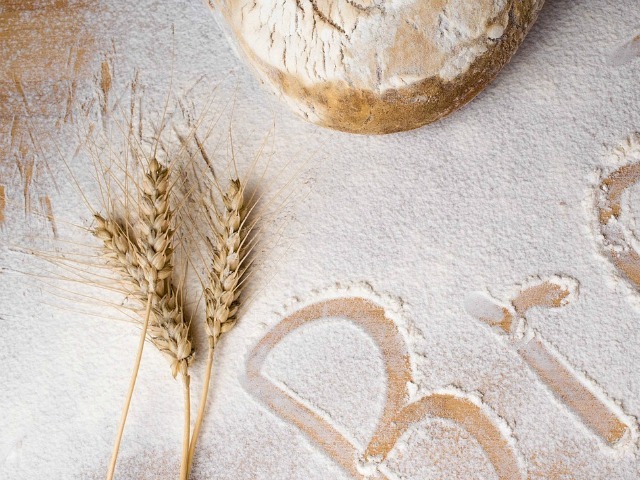 Generally bread flour works much better because it’s made from a harder wheat than the plain flour and so it has more gluten. More gluten means it will have a better texture when it rises and bakes. I do encourage people to give different flours a try though when baking, especially when you’re using a new bread maker as you may well find that there’s a certain type or brand that will work well for you. What’s the best flour for bread making machines? As I said before, look for Strong Bread Flour. This is available in all supermarkets these days, at least in the white variety. Some shops don’t carry wholemeal and often it’s a lot more expensive if they do. Supermarket own brand works well for me, as does Allinson and Doves Farm. When you’re just starting out I recommend using strong white flour. It makes a much nicer bread and is more forgiving. Wholemeal flour is heavier and can make a brick if you’re not careful! I found that I needed lots of practice and tweaking of my bread recipes to make sure that I was producing something edible. There’s no harm in also mixing your flours. You could try a 50/50 loaf if you wanted. Just remember to stick with strong flour. Bread mixes are small packets of all the dried ingredients that you need to make one loaf of bread. For example a white bread mix will contain the flour, salt, yeast and possibly some other ingredients. You simply add it in to the bread maker with the liquid it requires and set it going. Most bread mixes are suitable to be used in a bread maker nowadays unless it’s a type of bread that wouldn’t be getting baked in to a regular bread shape such as a ciabatta. Check the instructions on the bread mix to see what it says and remember that you can always give it a go and see how it turns out. It’s impossible for the bread mix companies to know which bread programme to use for it since there are so many, so if it doesn’t give any clues try it on the basic programme and see how you go. If the bread mix is to be baked in the oven you could always use the bread maker for the kneading portion (most bread makers have this function). Then once you’re done you’ll be ready to transfer your dough to the oven to be baked.